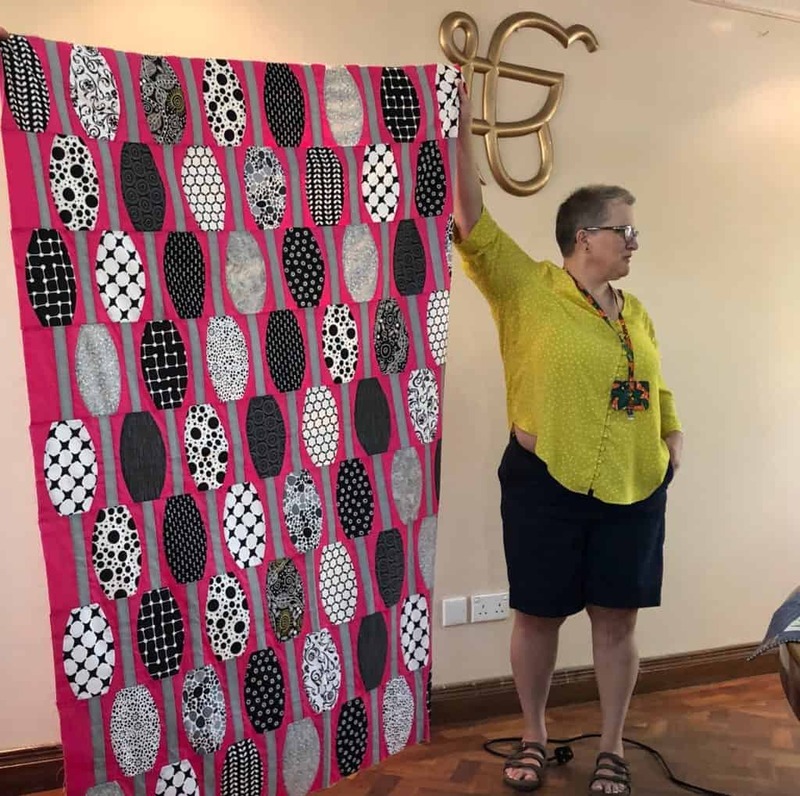 We welcome Kathy Graves of www.nextgenerationquilting.net to Nairobi. 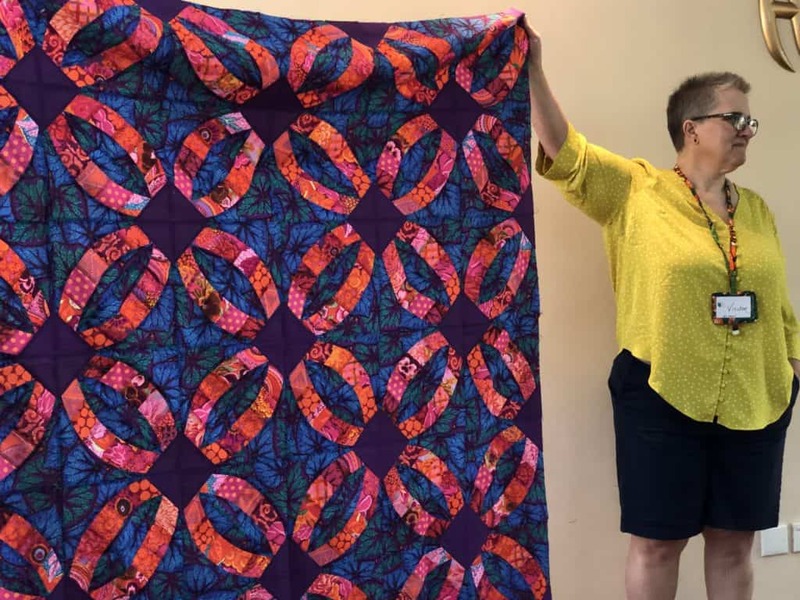 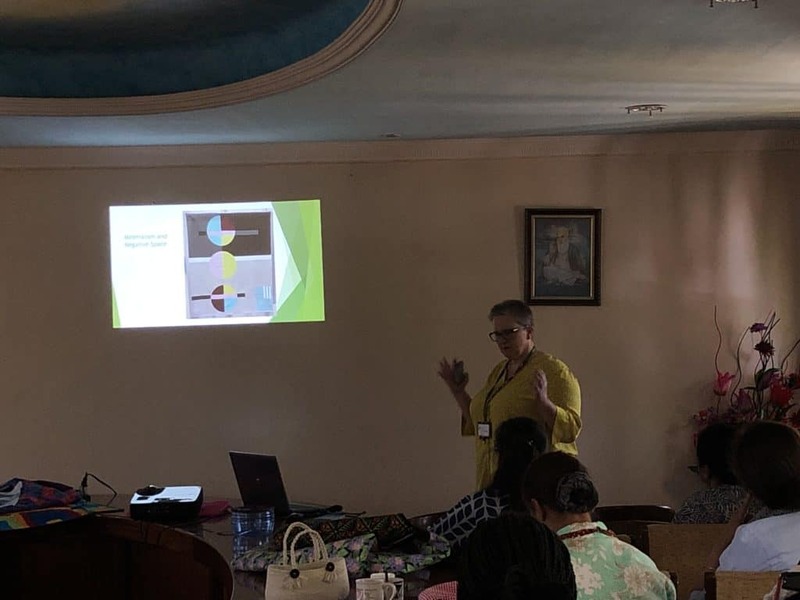 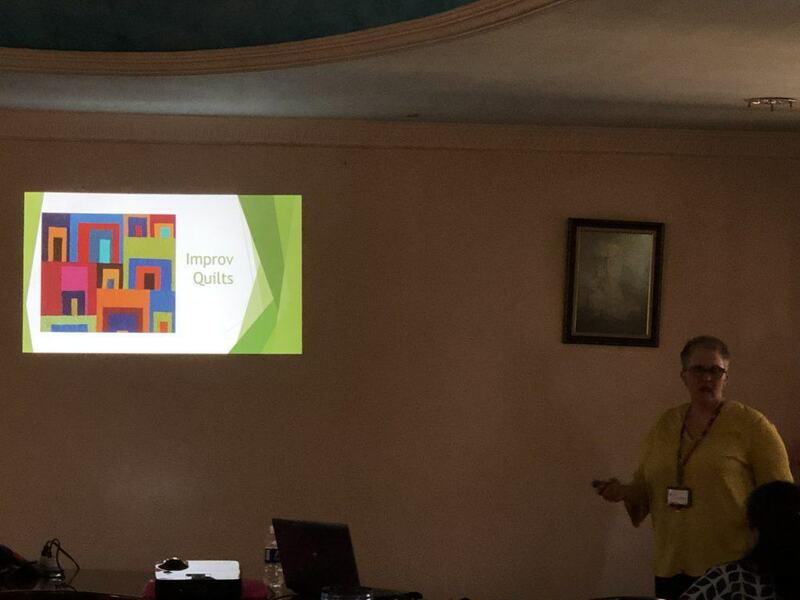 Kathy began with classes in Nairobi as soon as she landed and our members were enlightened by a very informative and interesting talk and presentation about Improv Quilts. 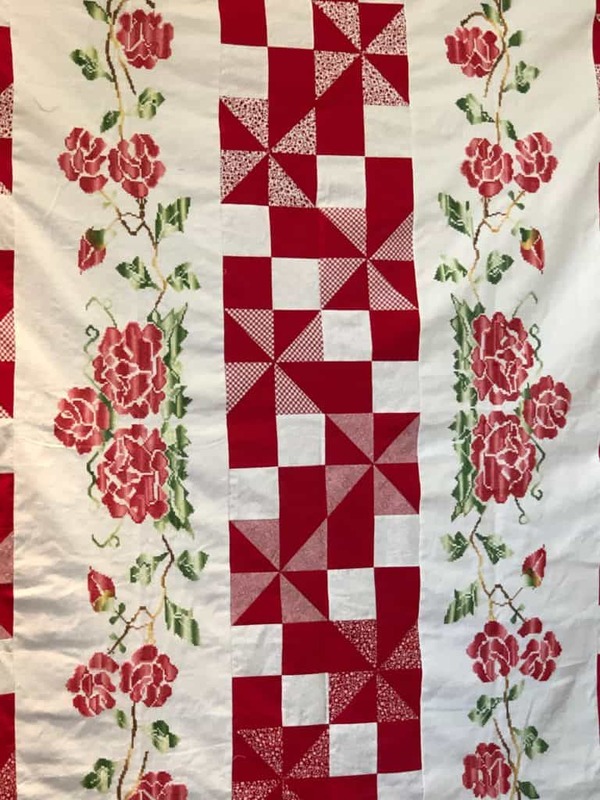 Modern quilting is a fairly recent trend that has taken the quilting world by storm. 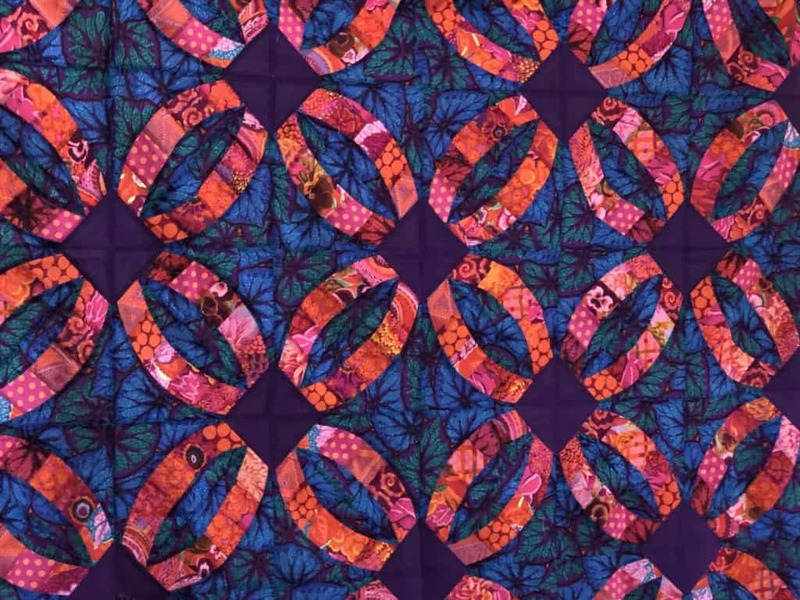 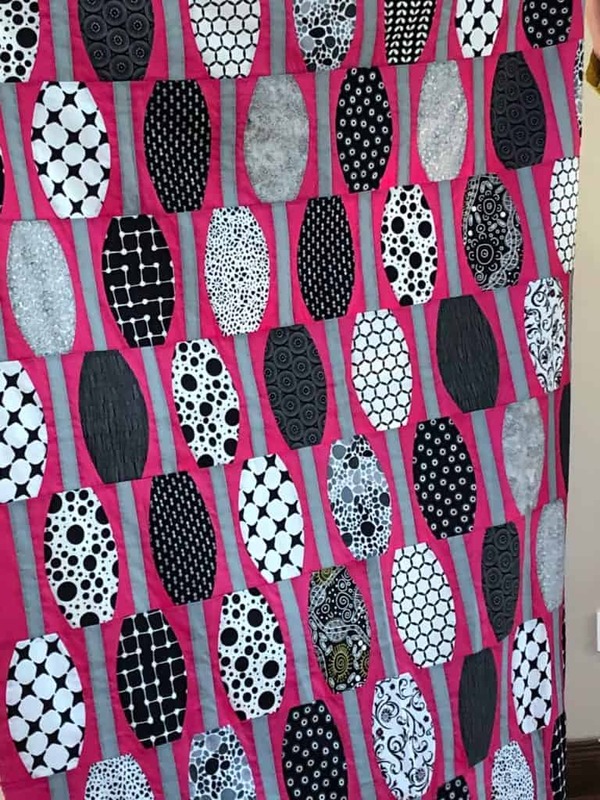 You will discover a new approach to quilt design that just might open a whole new world of quilting to you. 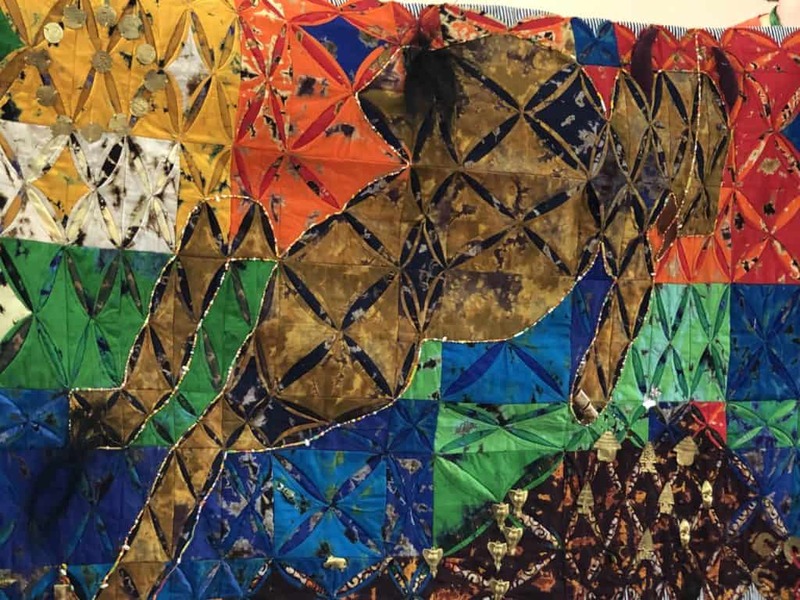 Our contribution to the Finestre Migranti exhibition in Verona, Italy is finished! 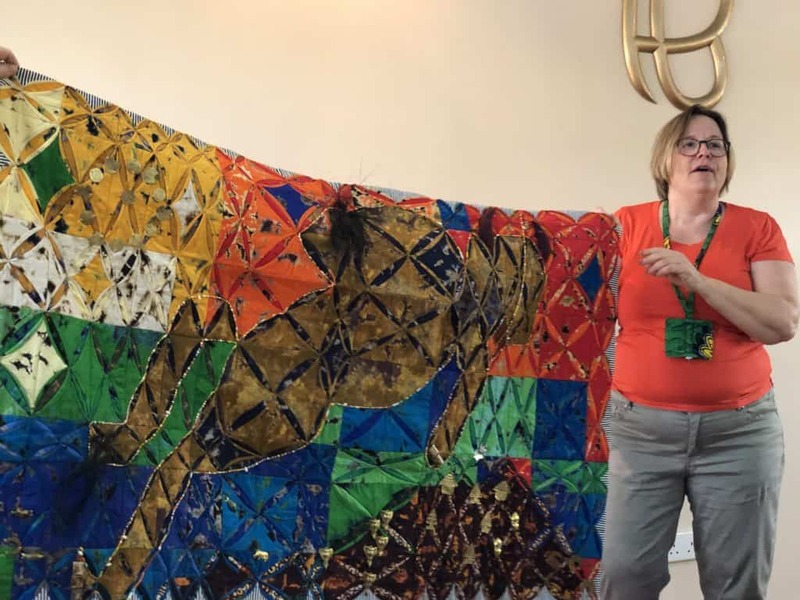 Designed by Navneet Phull and executed by a (fairly) faithful band of quilters over many months, our cathedral window project shows a wildebeest migrating across the Mara, and is embellished with cording, beads, bronze ornaments, and cowrie shells. 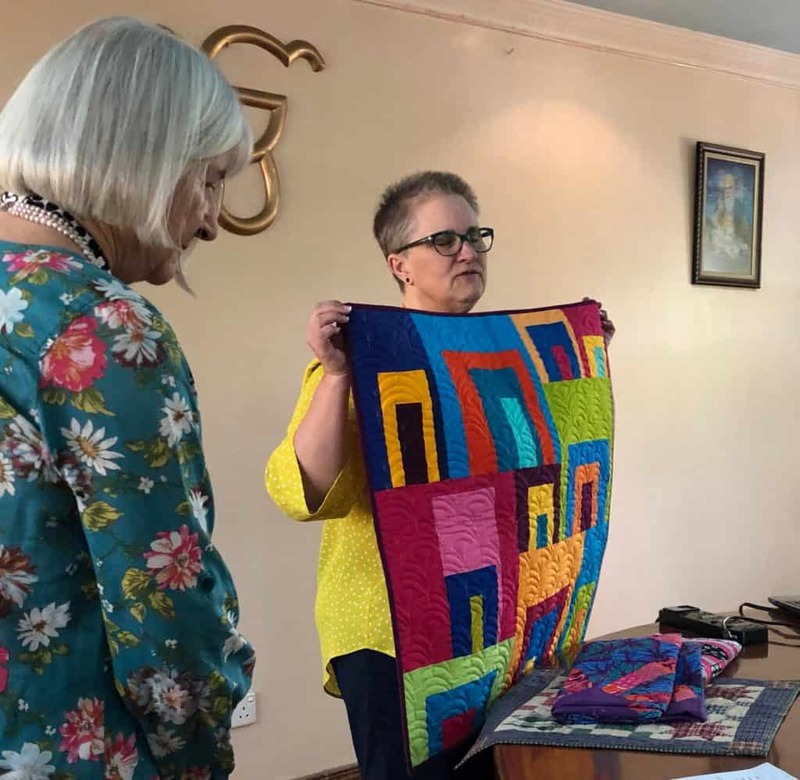 Sigrun Hansen is going to hand-carry the beast to Italy this weekend for the April 25-28 Verona Tessile show.I am attaching a photo of some of us at the workshop last Tuesday when we celebrated his completion. 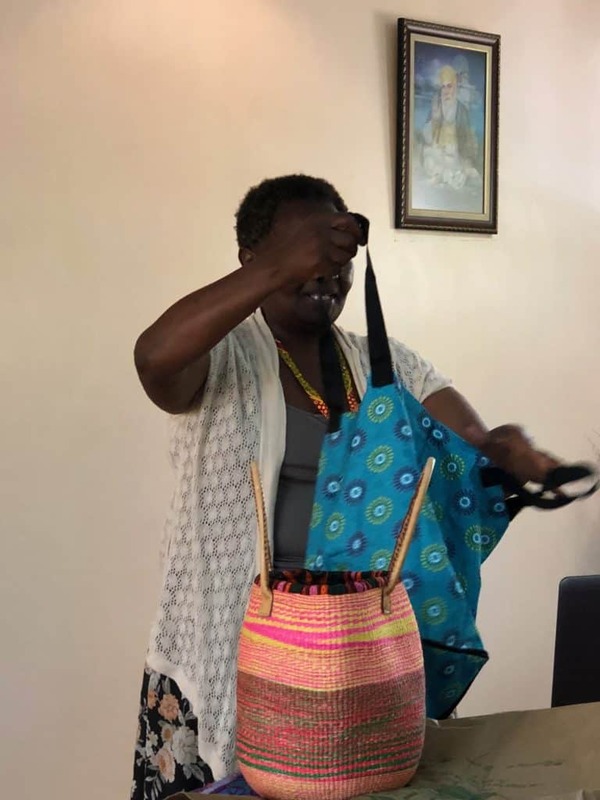 The show and tell from our members was fabulous as usual.